Cardiff Blues captain Andries Pretorius will be out for four months following a shoulder operation. The Blues number eight underwent shoulder reconstruction surgery on Friday. Pretorius, who was named in the 35-man Wales squad for the 2013 Six Nations, had been suffering with a shoulder injury since December and aggravated it against Edinburgh. Pretorius is expected to return to full training in May. 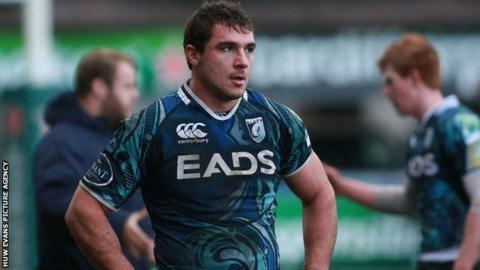 Phil Davies, the Cardiff Blues director of rugby, confirmed Pretorius could be sidelined for the rest of the campaign. "It's disappointing obviously, but it has been something that has bothered him for a while," said Davies. "We just wanted to make sure he got it done, with a view to making sure he is right and available to start pre-season training with us. "It's a bit proactive from our point of view and gives Andries a plan to get back."